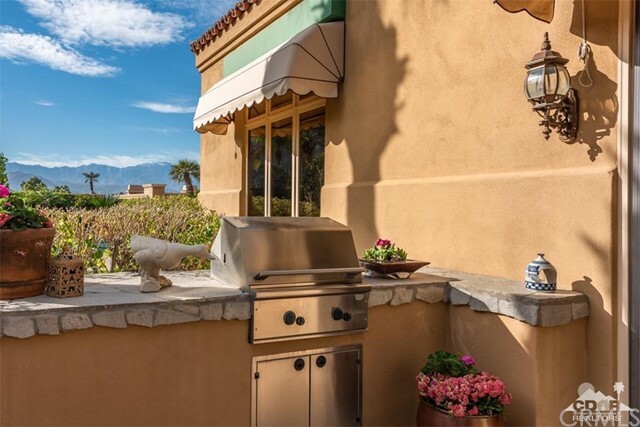 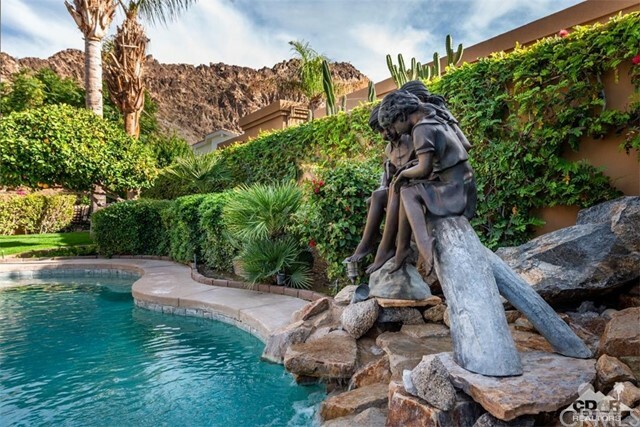 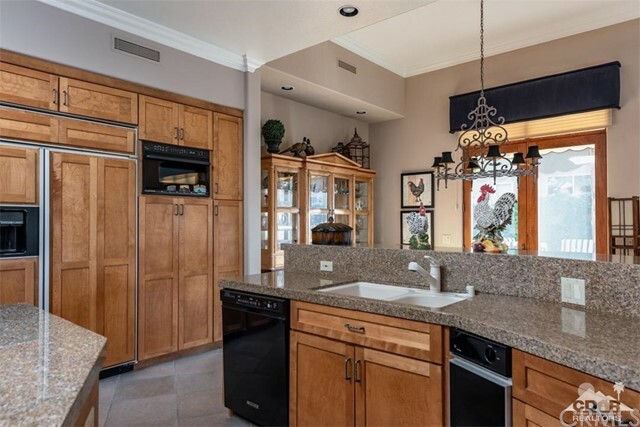 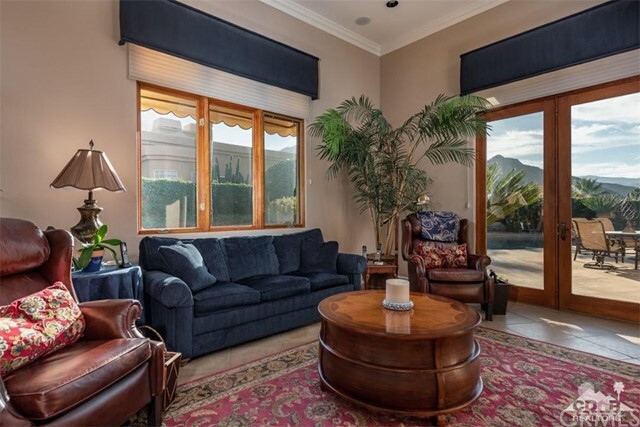 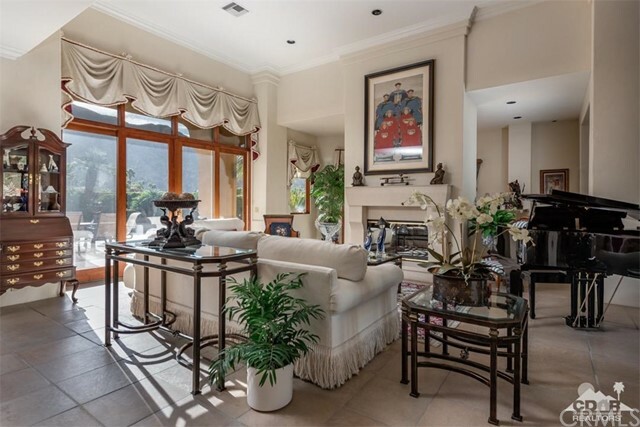 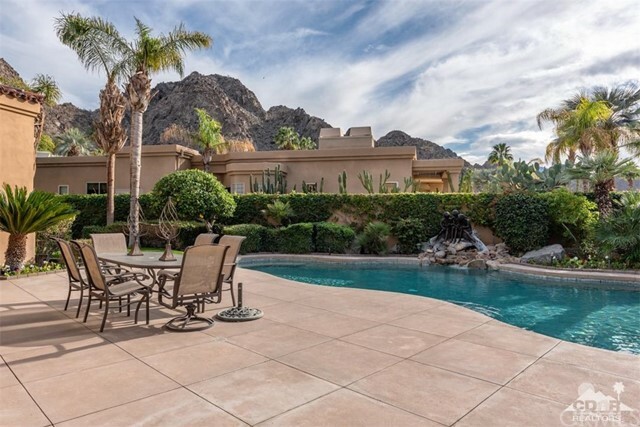 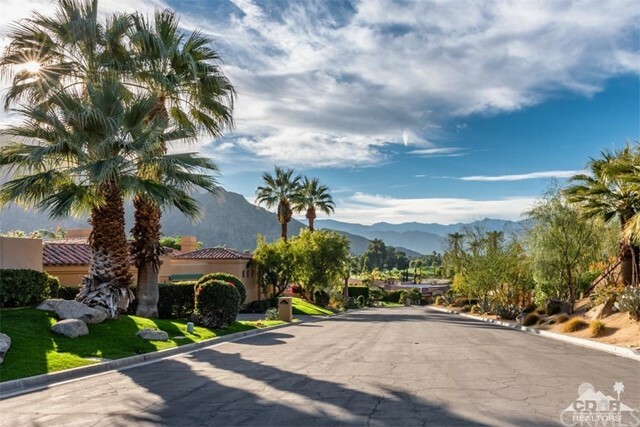 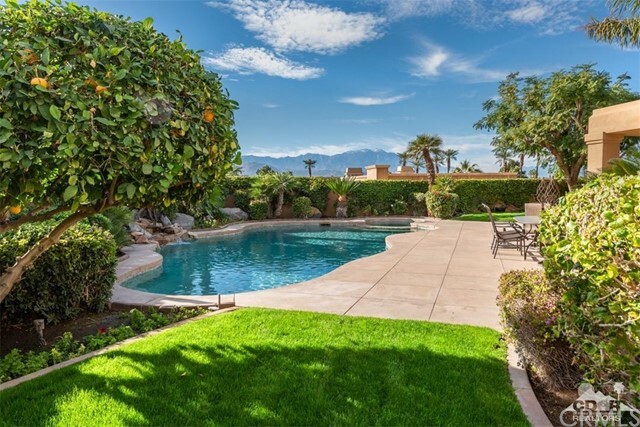 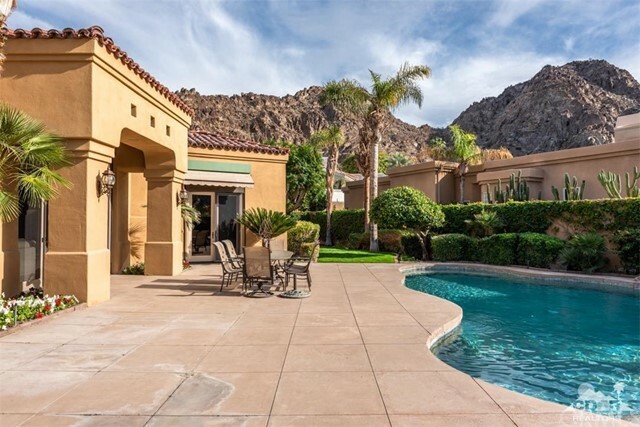 Breathtaking Panoramic Views of San Jacinto Mountains from elevated south facing, divine Mediterranean home, 4710 Sq. 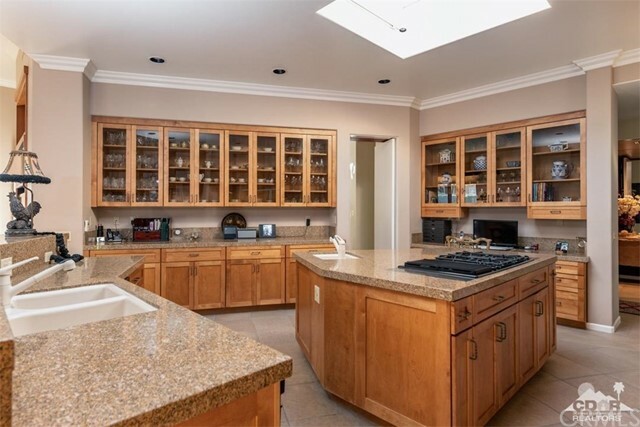 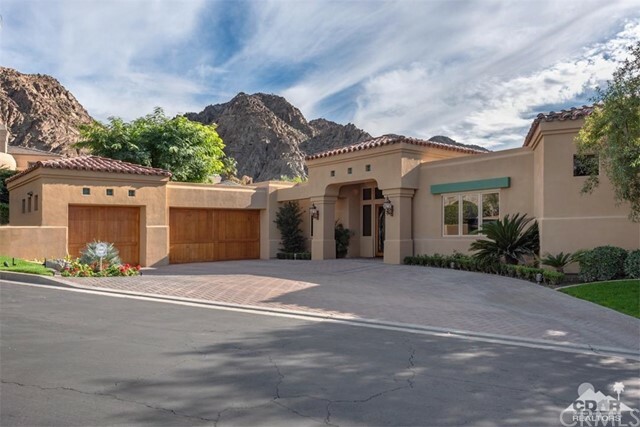 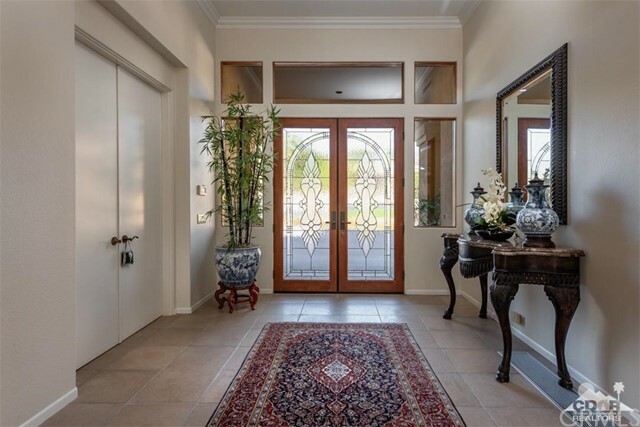 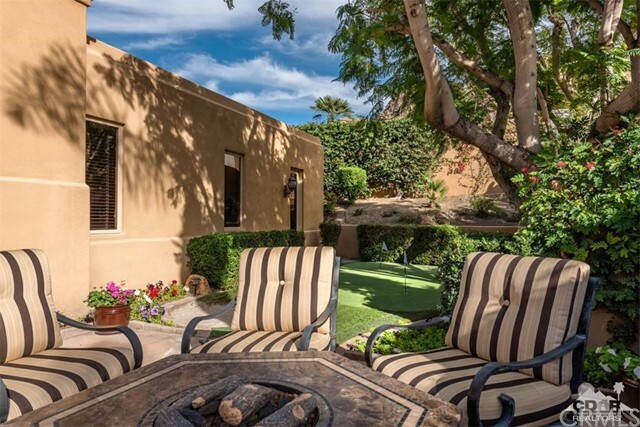 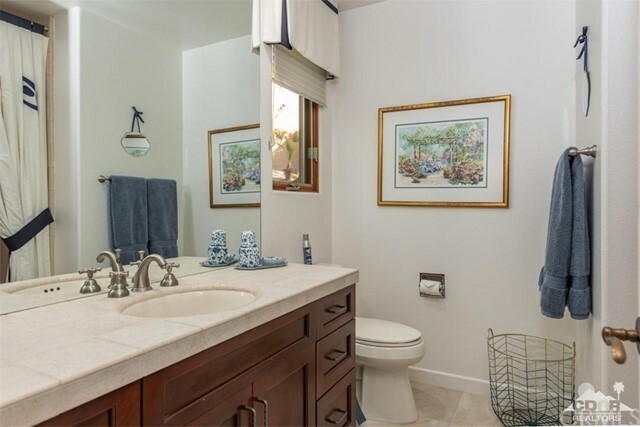 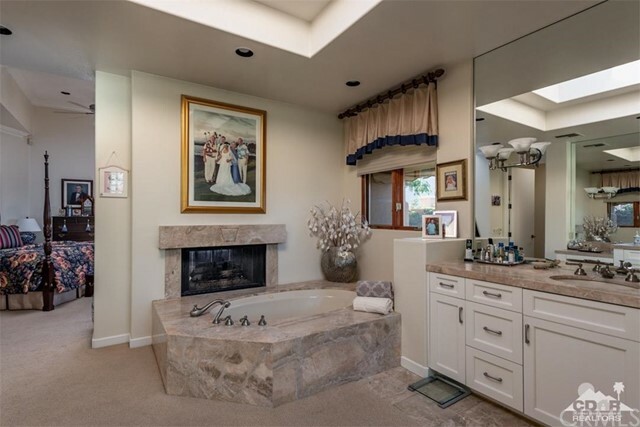 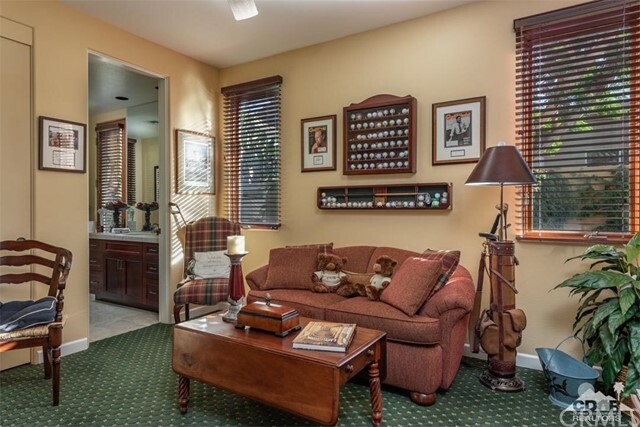 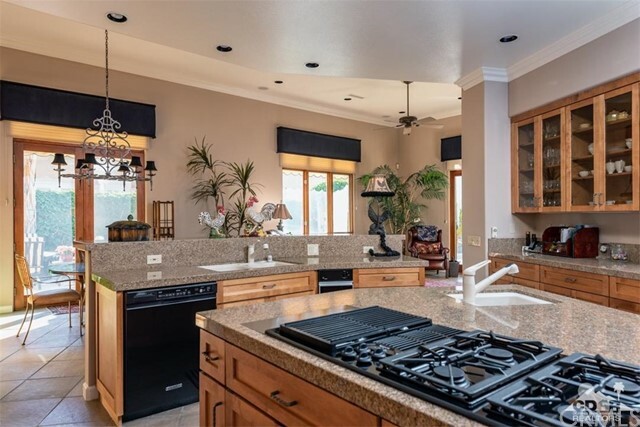 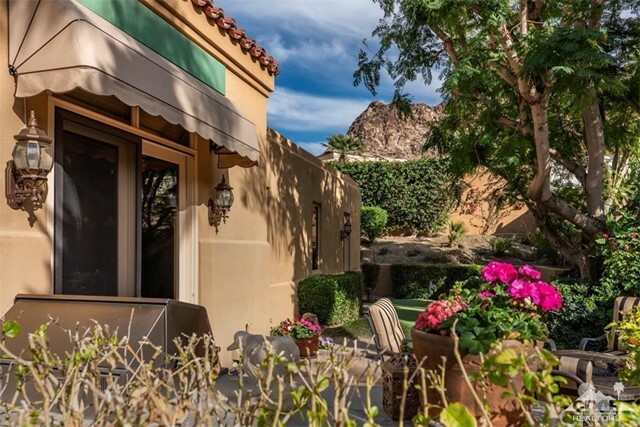 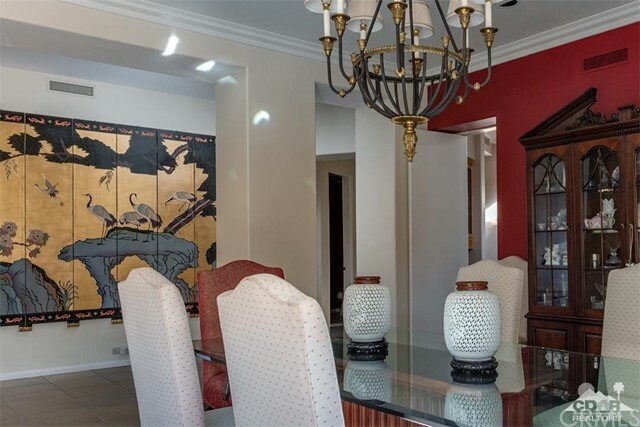 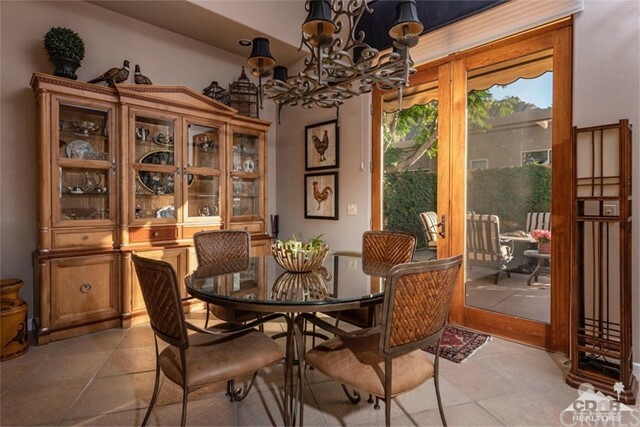 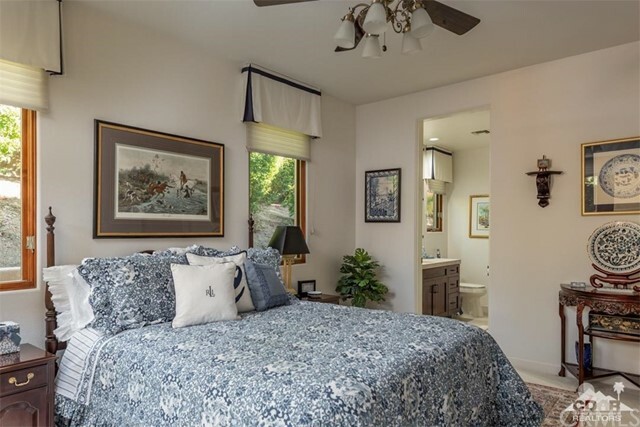 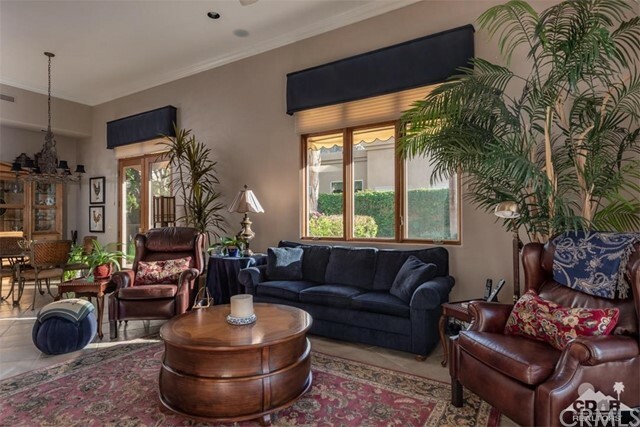 Ft., 4 Bedrooms with ensuite Baths, 5 Baths, plus lovely Den and Family Room located in exquisite Monte Sereno community with easy golf cart access to Indian Wells Country Club. 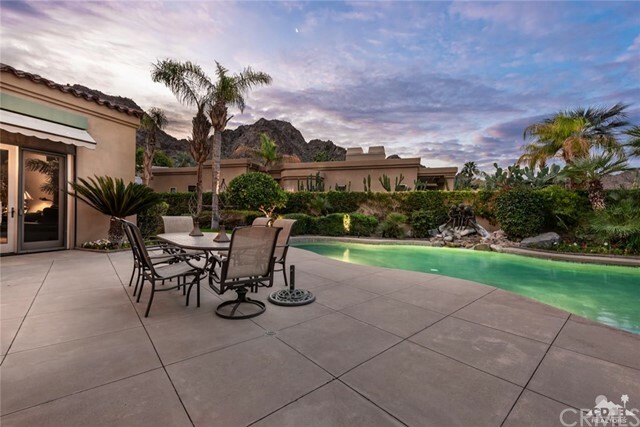 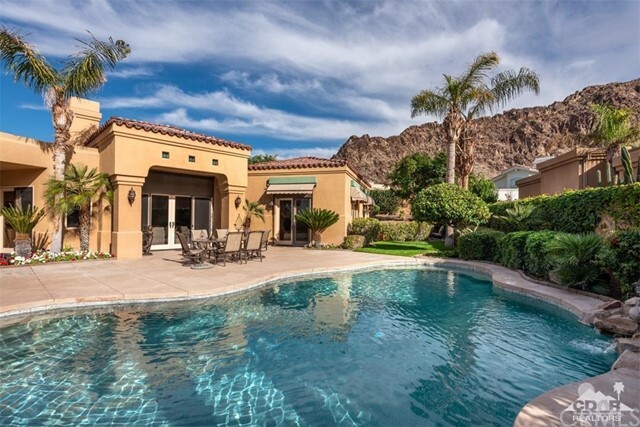 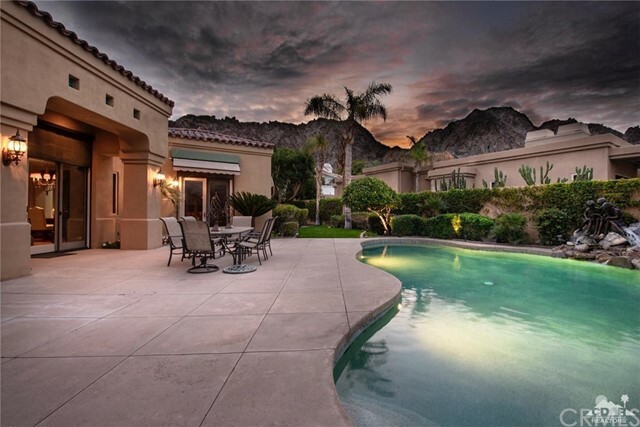 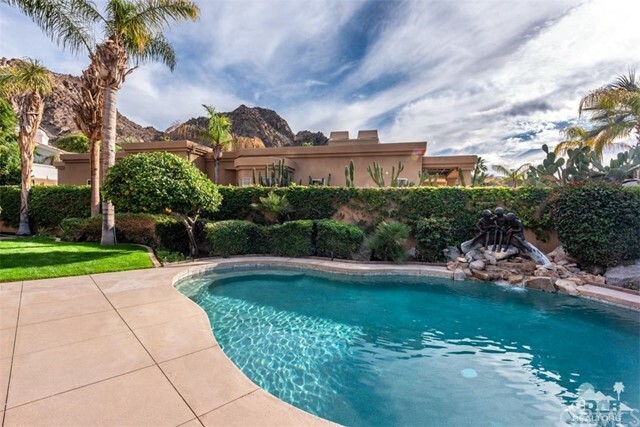 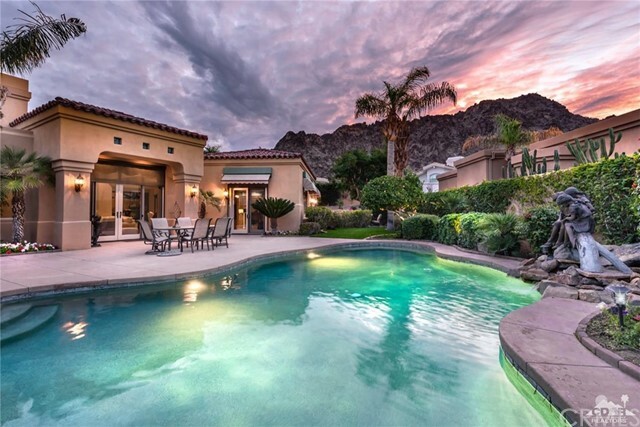 Not to be missed, this estate has captivating mountain views and gorgeous sunsets! 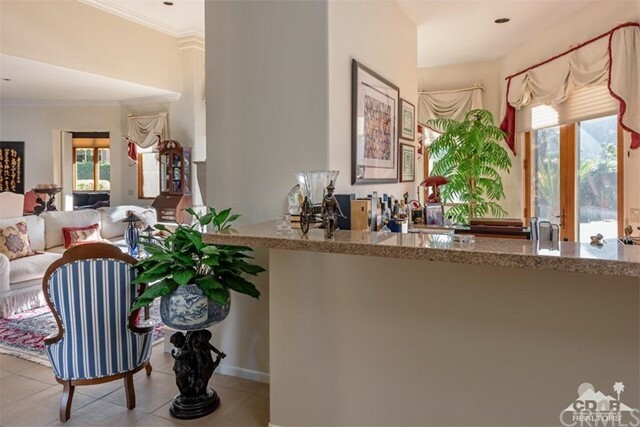 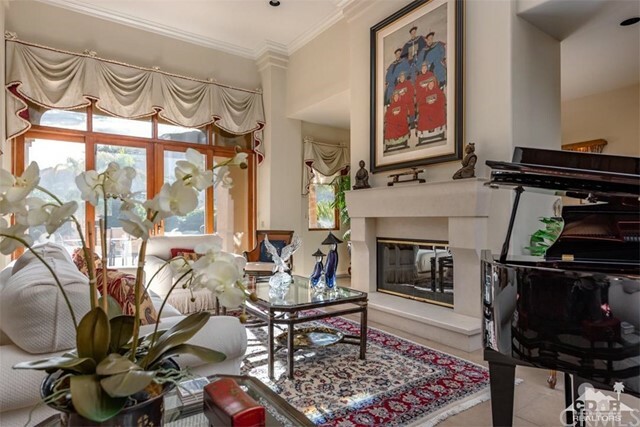 Immaculate, well maintained, timeless charm, home has grand foyer entry, paved driveway, high ceilings w/Crown molding, 2 stately fireplaces in Living Room and Master Bedroom, large walk-in Wet Bar, abundance of granite and marble, to name a few of numerous appointments. 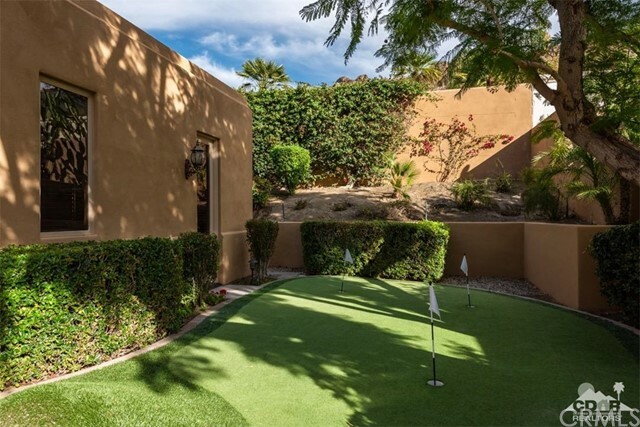 Pebble tech pool/spa, putting green, lawn, private patios, fire pit, built-in BBQ, large Gourmet Kitchen, elegant Dining Room, glass French doors for easy access to great outdoor entertaining! 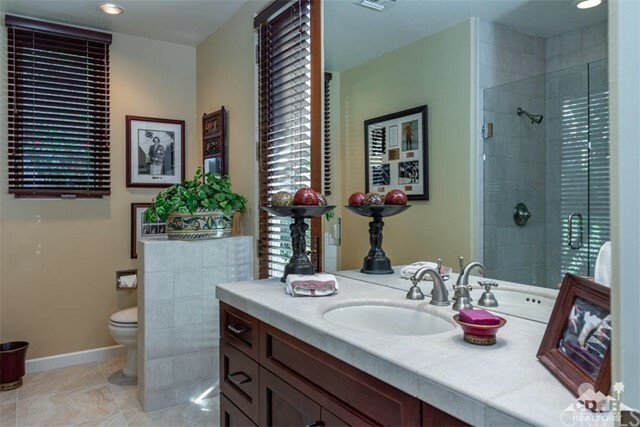 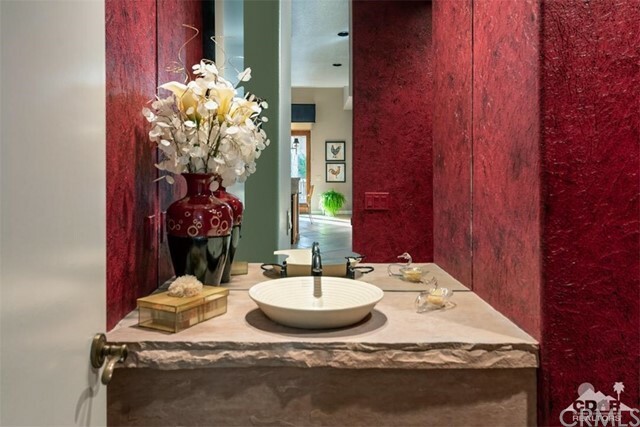 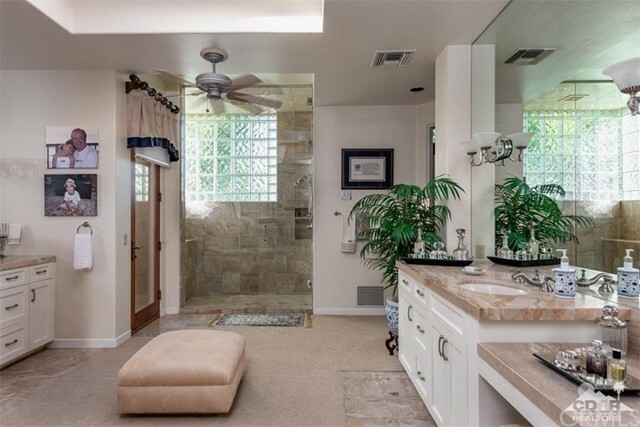 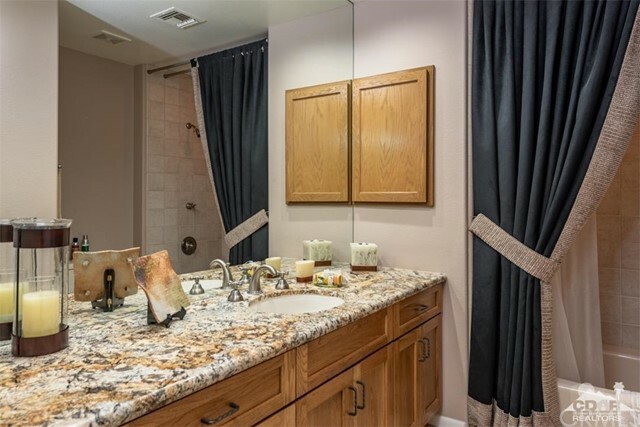 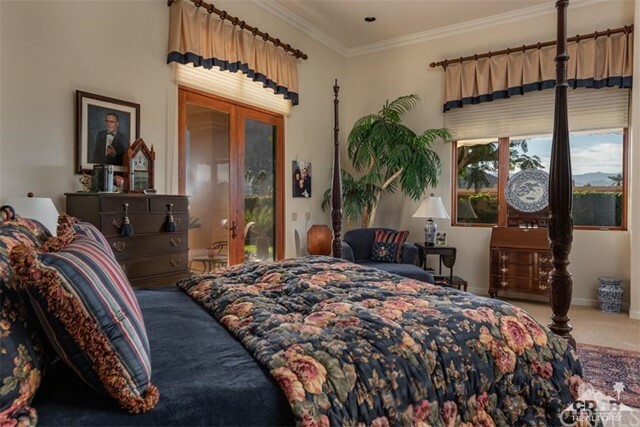 Master Suite has awesome views; Master Bath with marble countertops, large shower, his/her closets.